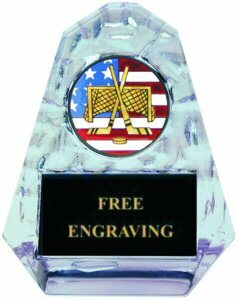 Acrylic ice pyramid shape award, great economical participation trophy for your team or event. Four lines of free engraving on a black plate are included to make this award special. * Note 4 inch size only two lines of engraving.